Normanton Church is a unique place, not only as the setting for a marriage ceremony, but also as the backdrop to wedding photography. The beautiful scenery of Rutland Water surrounds it on all sides and there is plenty of opportunity to take stunning photographs. How can any wedding photographer not be happy with such a superb location? The church with its magnificent setting lends itself to different styles of photography. Romantic shots are guaranteed but, if the sky is full of clouds, a more dramatic effect is created. The resulting photographs will always be atmospheric with great depth and feeling. 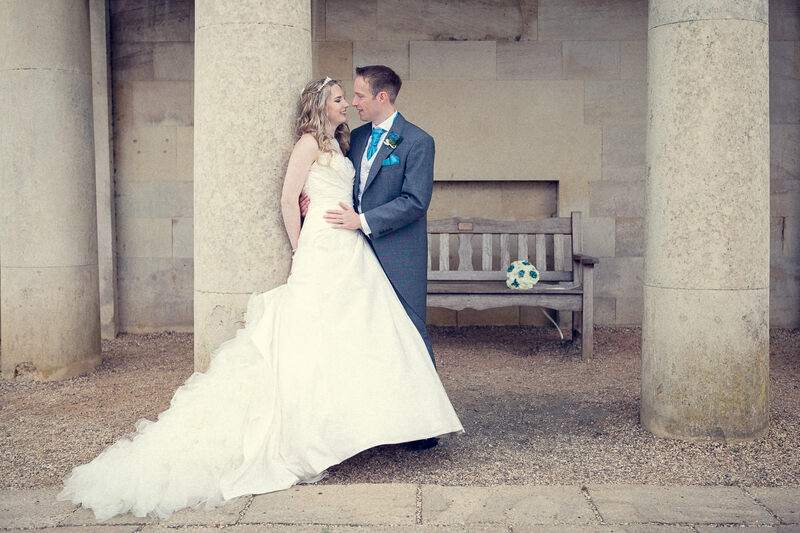 When you book your wedding at Normanton Church, you will be able to stay in the vicinity for up to forty-five minutes after the ceremony. Most wedding photographers use this time to take contemporary wedding photographs. A good idea is to let your guests go to the venue while you stay with the photographer for a photo shoot at the church. Apart from this wonderful old building itself, there are several very picturesque spots nearby where many photographers like to take pictures. The church with its magnificent setting lends itself to different styles of photography. You can pose by the four columns at the back of the church. There are also benches on both sides of the building. This is commonly used as a place to take more pictures. It is altogether a very remarkable location and you and your photographer will want to take full advantage of everything it has to offer. In addition to the historic church building and the romantic setting it stands in, there are many possibilities for using the whole of Rutland Water as a backdrop. The road that leads to the church will give your wedding photographer the opportunity to shoot photographs of you and your spouse with Normanton Church in the background. You can also use the shore of the nearby lake. This means you can combine the beauty of the landscape, the water and the church in your wedding photographs. Recently, there has been a trend for wedding photographers to shoot their pictures from a distance. Even though the happy couple will appear very small, the pictures themselves look amazing. Group shots of the wedding party can also be done in this way. Such photographs have a beautiful, natural quality. Adding your stylish wedding car into the shots will create some eye-catching pictures. If you have planned your evening reception nearby, it is a good idea to return to the church when the sun is going down. The way the church is positioned allows the wedding photographer to take shots with the church and the sunset in the background. This will look amazing on the wedding photographs when the happy couple are seen against this magical backdrop. 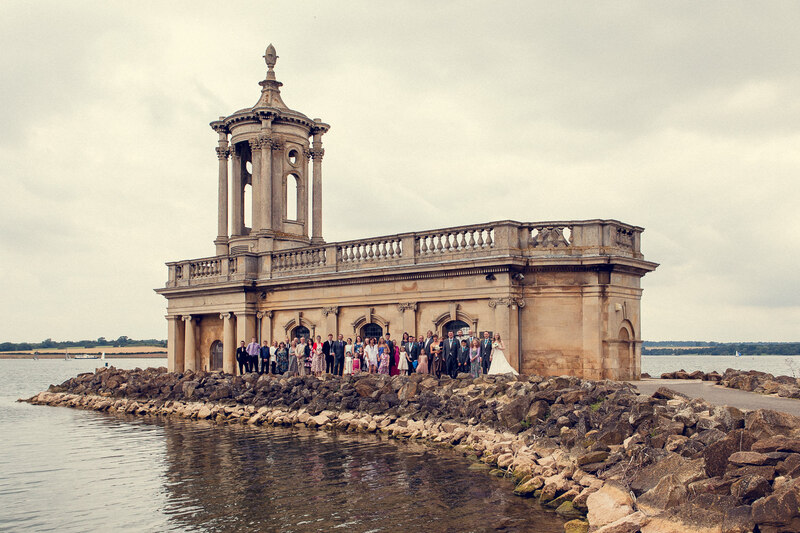 Not only is Normanton Church the place for the wedding of your dreams, so too is the whole of Rutland Water. There are few places so perfect for a romantic occasion such as a marriage ceremony and the registrar and everyone connected with the venue will use their experience to make your day the best it can be. You will go a long way to find a location as unique and wonderful as this for your wedding. Why not get in touch with Normanton Church and book your wedding ceremony? You will be glad you chose this superb venue for your special day.